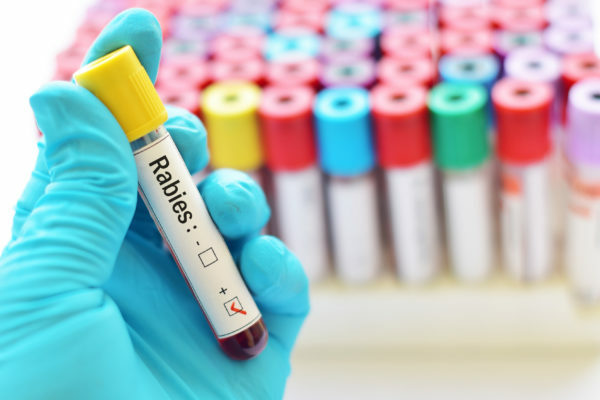 Home / Modern Pest Blog / What is Rabies? Rabies is a viral disease found only in mammals. It attacks the central nervous system, and has the highest mortality rate of any disease in the world at 99.9%. The majority of cases that are reported to the Centers for Disease Control (CDC) occur in wild animals. However, nearly every case of a human infected with rabies was from a dog. How is it Caused and Transmitted? According to the CDC, distinct strains of rabies have been identified in raccoons, skunks, foxes, and coyotes. Several species of bats also carry strains of the rabies virus. Rabies is transmitted from an infected animal through its saliva via a deep bite or scratch. There have also been rare occasions of transmission through mucous membranes (eyes, nose, mouth), aerosol transmission, and corneal and organ transplantations. Do you have a nuisance wildlife problem on your property? Click here to Contact Modern Pest’s Wildlife Control Team today! Rabies can lay dormant in a person’s system for 1 to 3 months. Symptoms appear after the virus travels through the central nervous system to the brain. The earliest symptoms are similar to the flu and can include weakness, fever, and headache. There might also be pain, tingling, or burning at the site of the bite or scratch. Once these symptoms of rabies appear, the virus is almost always fatal. The next steps are usually a coma, heart or lung failure, and death. If an animal bites or scratches you, wash the wound with soap and water immediately. It lowers the chances for infection. Then see a doctor as soon as possible. People who have likely been exposed to rabies are treated with post-exposure prophylaxis (PEP). PEP is any preventive medical treatment started after exposure to a pathogen to prevent infection from happening. The PEP treatment for rabies consists of a combination of human rabies immune globulin (HRIG) and rabies vaccine. In most cases, you would get one dose of HRIG, and then four doses of rabies vaccine over the next 14 days. The shots are safe for pregnant women. According to WebMD, the vaccine is always successful if administered immediately after exposure to the virus. 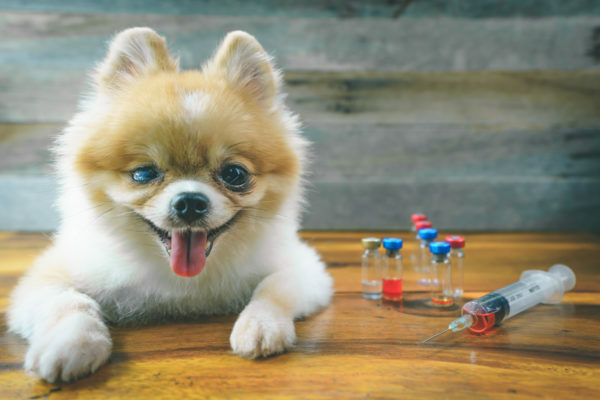 Keep your dogs’, cats’, and ferrets’ rabies vaccinations up-to-date. Keep all cats and small mammals indoors. Keep dogs under direct supervision when outdoors. Spay and neuter your pets to reduce the number of unwanted pets that may not be properly cared for or vaccinated regularly. Call animal control to remove all stray animals from your neighborhood since they might be unvaccinated or sick. If a wild animal is acting oddly and being aggressive toward humans, it’s important to call local animal control or police. But if you’re having an issue with wildlife on your property, Modern Pest’s Wildlife Control Team can help. They use humane methods to trap and remove nuisance wildlife. They also clean up and repair minor damage caused by animals. Exclusion techniques are then used to keep wildlife from returning to your home. If you’re having a problem with wildlife on your property, call Modern Pest at 1-800-323-PEST today to schedule a site consultation.